Sun Valley galleries are highly regarded for the quality of fine arts they provide for collectors and art enthusiasts. With works ranging from stunning photographs to exquisite paintings and unique mixed media projects, the galleries within the Wood River Valley have something for all tastes. The Sun Valley Gallery Association hosts monthly art walks from 5 to 8 p.m. Gallery owners invite all residents, visitors, and anyone interested in fine art to view new gallery exhibitions for which the artists are often present. In addition, gallery tours provided by Sun Valley Company are led by resident and former Idaho State Representative, Wendy Jaquet. Tour all of the local galleries while Jaquet offers a colorful and fascinating overview of the region’s history as well as a few tidbits from her experience as a member of the Idaho legislature. Many galleries are open seven days a week and will often take appointments. This winter season promises plenty of new, stunning works for you to discover and enjoy. 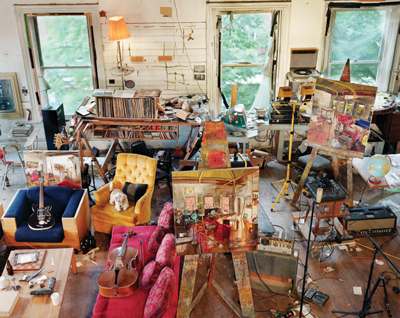 The Gail Severn Gallery will present several exhibitions for the winter 2013-2014. The gallery also has numerous artists exhibiting throughout the nation including Wood River Valley resident Theodore Waddell who has two museum exhibitions currently on view in the eastern part of the United States. 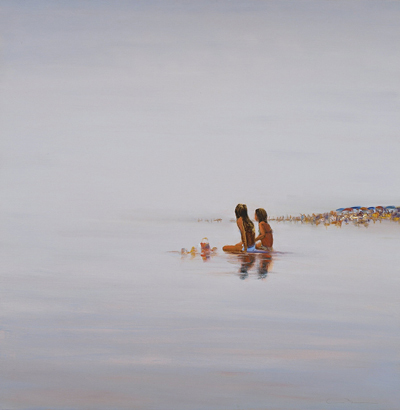 Waddell’s style is distinctly contemporary, but has influences of both abstraction and realism. “My West: The Art of Theodore Waddell” will be on display until December 29, 2013 at the Booth Western Art Museum, located in Cartersville, Ga. Waddell’s second exhibition at the Foosaner Art Museum, in Melbourne, Fla., is titled “Theodore Waddell: Far West.” This exhibition runs until January 19, 2014. Gail Severn Gallery artist Lisa Kokin is on exhibition at the Boise Art Museum through April 27, 2014. For the past two decades, Kokin has been at the forefront of an emerging new art form: the artist’s book. Through preservation and destruction, she utilizes book spines and covers by disguising and weaving them into colorful wall installations. 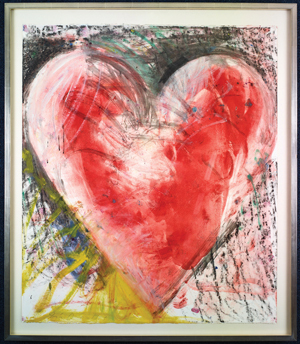 Lipton Fine Arts presents contemporary artists including: Pablo Picasso, Jean Dubuffet, Jim Dine, Fernand Leger, Robert Motherwell, Saul Steinberg, Alex Katz, Alexander Calder, and others. The gallery also presents Western artists including Burning House, Seltzer, and Borg. Lipton also has a unique collection of American Indian Art dresses, war shirts, and blankets. In addition, Lipton Fine Arts has a collection of American Arts and Crafts furniture such as Stickley Furniture and Rookwood Pottery and folk art as well as oriental rugs and quilts. The Kneeland Gallery presents “Halcyon Days” featuring Robert Moore, Joe Anna Arnett, and introducing William Berra. The gallery will also exhibit the works of Joe Anna Arnett is a master artist on “Passport & Palette,” the art instruction and travel series airing on PBS stations across the country. Other shows at Kneeland Gallery include “Winter Requiems” featuring Shanna Kunz and Steven Lee Adams, and “Perceptions of Nature” featuring Lori McNee and Greg Woodard and “Country Tales,” a three-person exhibition featuring new work from Douglas Aaagrd, Linda St. Clair, and John Horejs. 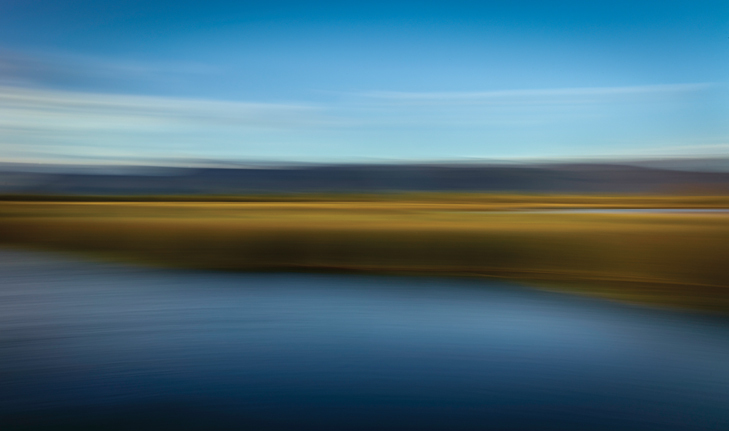 James Bourret’s fine art photography work is on exhibition at Starbucks and The Visitor Center in Ketchum on Sun Valley Road through January 2014. Bourret’s photography captures the lure and magnificence of the Wood River Valley, the Sawtooth National Recreation Area (SNRA), and many more beautiful locations in south-central Idaho. Bourret is a fine art photographer based in Ketchum and Sun Valley, Idaho. He is the also owner of Ketchum’s Mountain Images Gallery and a noted architect. His work has recently been exhibited at the San Diego Natural History Museum and published in magazines such as LENSWORK and Shutterbug. “My work is rooted in this area,” Bourret said. “The work on exhibition is a grouping of images of nearby landscapes, which were inspired by the visual richness of the area and its recreational resources. They’re a result of my love for this place.” Bourret has spent a lifetime involved in the arts and design as a photographer and architect. He strives to celebrate and share his reverence for the natural world through vibrant, compelling photographic art. As a member of the Sawtooth Society, which works to preserve and protect the SNRA, Bourret captures the eminence and beauty of the SNRA. A print series is available in limited edition, with proceeds going toward the important non-profit work of the Sawtooth Society. Bourret’s background in architecture has influenced his photographic sensibilities and has led to the creation of Images For Design, a division of James Bourret Fine Art Photography oriented to providing large-scale photographic art for design installations. When the Sun Valley Center for the Arts creates its multidisciplinary projects, there are several components including fine art exhibitions, which accompany each project. In the 2013-2014-winter season, The Center has conjured up several ideas that will engage all ages. “Wish You Were Here” presents a new gallery exhibition on travel, tourism, and the history of the American road trip. In addition, Ian Frazier, author of Travels in Siberia and a regular contributor to The New Yorker, will speak. Special events surrounding the “Wish You Were Here” exhibition include Gallery Walks on Friday, Dec. 27, and Friday, Feb. 14, and guided Evening Exhibition Tours on Thursday, Jan. 16, and Thursday, Feb. 13, each at 5:30 p.m. Gallery Walks and Evening Exhibition Tours are free and open to the public. The Sun Valley Center for the Arts will follow “Wish You Were Here” with “Creativity and Work” March 1 through May 16, 2014. This multidisciplinary project explores the role of creativity in the workplace. In 2011, the staff at the popular professional networking site LinkedIn surveyed its members and found the number one word they used to describe themselves was “creative.” They ran the survey in 2012 and came up with the same answer. While bloggers at LinkedIn described the word as overused, perhaps it in fact reflects a shift in our culture’s attitudes and values regarding work. The U.S. economy is currently seeing growth in manufacturing jobs for the first time in a decade. But author and urban studies professor Richard Florida argues that it is creativity, not manufacturing, that must be the fundamental driver of our economy. Businesses that prioritize innovation have become the nation’s economic leaders and, as science writer Jonah Lehrer points out, some corporations are using science to create environments specifically designed to trigger creativity. Lehrer has written that moments of innovation often seem to occur out of the blue, as a flash of insight. But, as he points out, these moments usually follow a considerable amount of work, and precede revisions and reiterations. Creativity and hard work are inextricably linked. This multidisciplinary project considers that link—the connection between work and creativity—and its impact on the American workplace, through dance, theater, lectures, films, and a visual arts exhibition.